Here’s a tasty drink idea for your weekend. The ice cream in this drink makes it a perfect after dinner drink for a relaxing summer evening. 1. Decorate glasses with chocolate syrup however you’d like. It doesn’t need to be perfect. Any design weaving back and forth across the glass will look great and taste delicious! 2. Spoon ice cream into blender. Add milk and Kahlua and blend until smooth. Pour into glasses decorated with chocolate. Top with a squirt of Reddi-Wip and sprinkle with mini chocolate chips. 3. Make it preggo or kid friendly: Increase milk to ¼ cup and add ¼ cup malted milk powder. 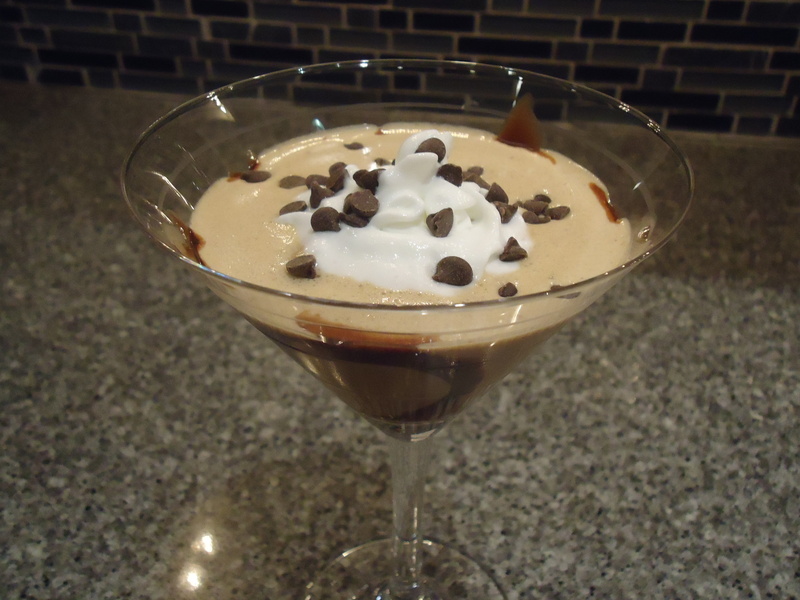 This drink/dessert idea is the perfect way to cap off a delicious meal.